Word broke last month that The CW was developing a superhero team-up spin-off of “Arrow” and “The Flash” which will star many of the heroes already established but also bring in some fresh new characters from the DCU that had never appeared on TV before. TVLine has now uncovered a casting breakdown for the three new heroes that will join the team which you can check out below, along with some speculation on their potential identity. TVLine speculates that this could be none other than Rip Hunter, the time-traveling hero created by Jack Miller and Ruben Moreira. The character has fought alongside the likes of Superman and fought off the Anti-Monitor. Another likely candidate of course is Booster Gold, especially given executive producers Greg Berlanti and Andrew Kreisberg’s previous attachment to a series based on the time-traveling hero. The original report, however, reveals these heroes have never appeared on live-action TV and Booster Gold was previously played by Eric Martsolf on “Smallville,” albeit for one episode. 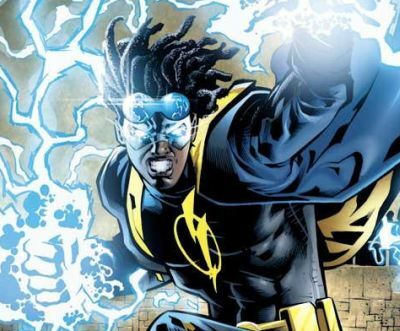 Fans will likely be excited by this character should the prediction hold true, as TVLine speculates this is none other than Virgil Ovid Hawkins, AKA Static created by Dwayne McDuffie, Derek T. Dingle, Denys Cowan and Michael Davis. It could be some time before the casting on the series is finalized, so we may not know the identity of these characters for a few months, but sound off with your own speculation in the comments below! Greg Berlanti, Andrew Kreisberg, Marc Guggenheim and Sarah Schechter are set to executive produce the new show, with Brandon Routh, Victor Garber, Wentworth Miller and Caity Lotz all planned to star.